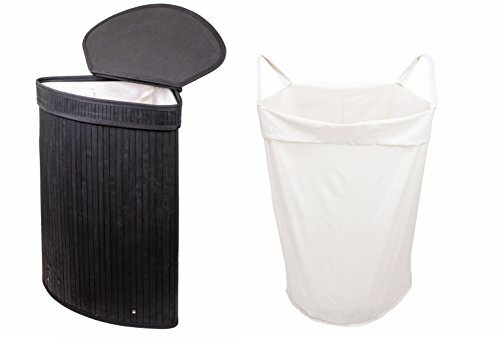 •Interior Space: Not Only can this product be used as a single laundry hamper, but our hampers include 2 liners, a large single liner and a 2nd 2 compartment liner. To help with a stress-free laundry day! This will ensure a quick easy solution for separating your dark and light clothes that may consume more of your time than needed. Leave it to our product to give you satisfaction for an organized clean laundry day! •Removable Liner: Our single and two-compartment liners are designed with handles to provide easy access to remove and wash dirty clothes throughout the week. To ensure a safe and easy trip to the laundry room or laundromat we have made accessible grip handles to guarantee an effortless pain free Laundry day. 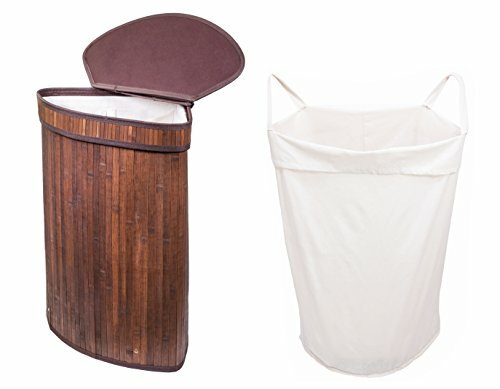 Lid and Cloth Liner: Lid conceals smelly clothes while also keeping your dirty laundry out of sight. Liner can be removed for an occasional wash. Durable and Lightweight: designed from bamboo to be lightweight yet durable for frequent use in your bedroom, laundry room or bathroom. 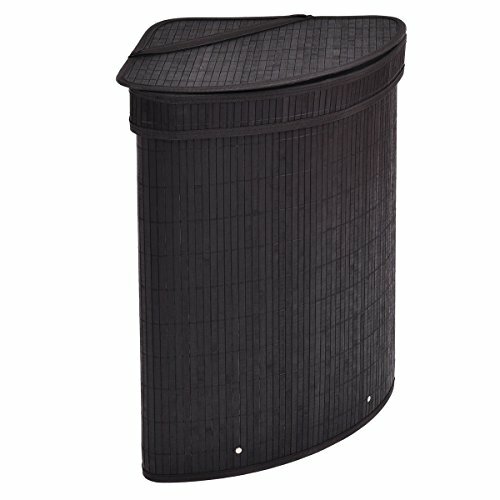 The single laundry hamper can hold up to 1 loads of dirty clothes. Organize and store often-used toiletries in style with this classic, functional set of storage hampers. 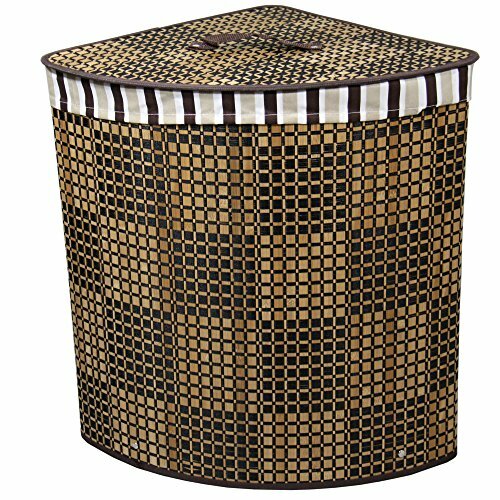 Use this hamper and storage set to hold your laundry and more. 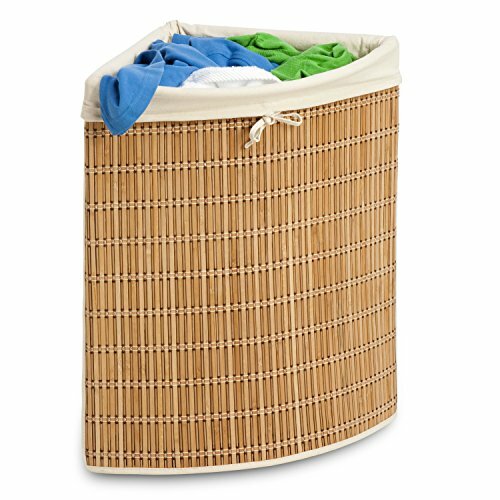 This beautiful retail dump bin bamboo laundry hamper set is designed to fit neatly anywhere in your home. 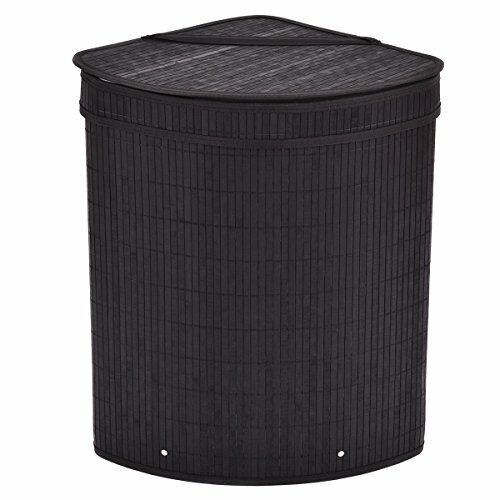 Made to get your laundry to the machine easily and conveniently, this hamper would be the perfect addition. 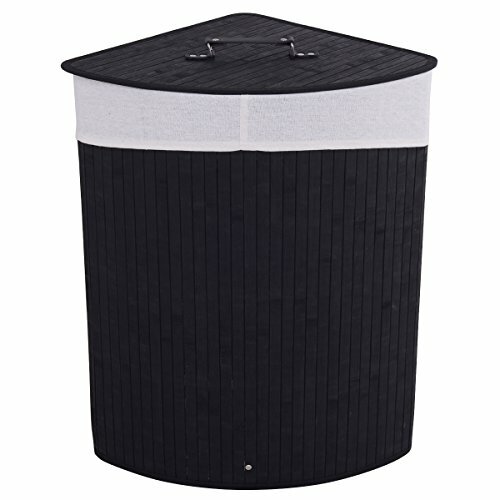 Its handy lid keeps your dirty laundry out of view. 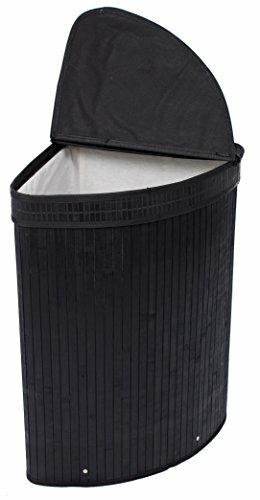 Hamper's liner makes it easy to empty on wash day. A light weight yet sturdy bamboo construction allows for easy transportation. The natural beauty of bamboo is sure to enhance any d??cor. Comes with 1 large corner hamper with lid, 1 medium square hamper, 1 small square hamper. 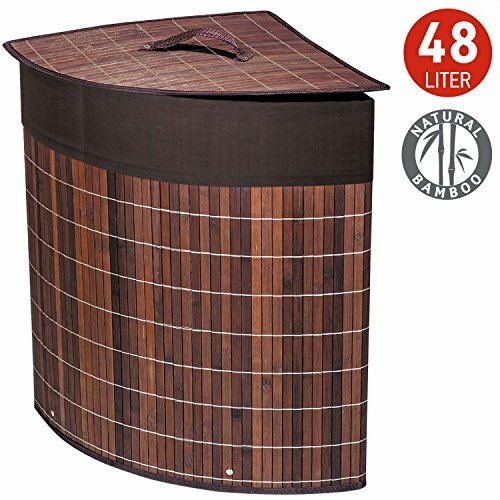 Large Hamper: 13.8″L x 13.8″W x 19.7″H. 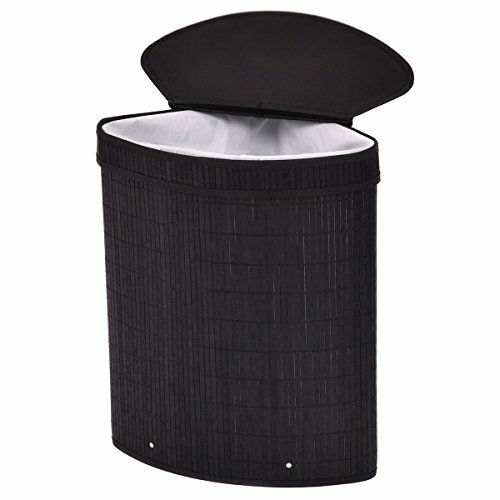 Medium Hamper: 13″L x 9″W x 5.5″H. Small Hamper: 15″L x 11″W x 6.3″H. 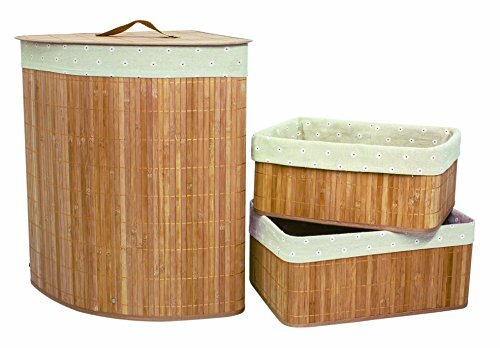 Set of 3pcs Corner Folding Bamboo Laundry Basket & Trays. Brand: Fixture Displays. You can find bamboo corner hampers in several shapes, from double to triangle shapes, and in different colors as well, from simple white or brown to elegant black. 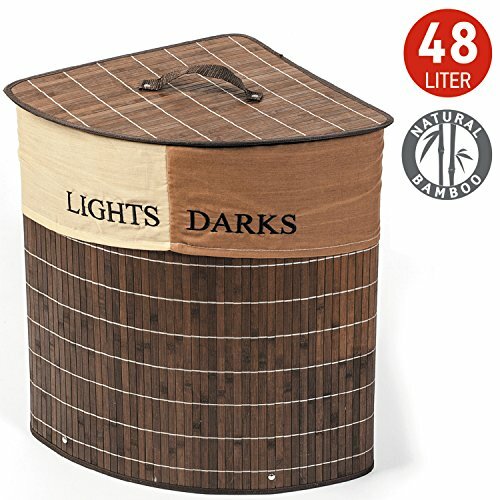 With a very natural look, this corner laundry basket is so stylish that you can even set it in one of the corners of your bedroom, if you wish to fully free your bathroom from laundry. But the really special future of the bamboo is that it is a very strong and ecologic material, which will give a beautiful story and personality to your bathroom, due to its ancient signification in the Chinese culture. Are you looking for a laundry basket that will contribute to a mysterious - or at least elegant - or exquisite theme to your home? Than one made out of bamboo is just what you need!